The City’s Finest #2 Premiers ! 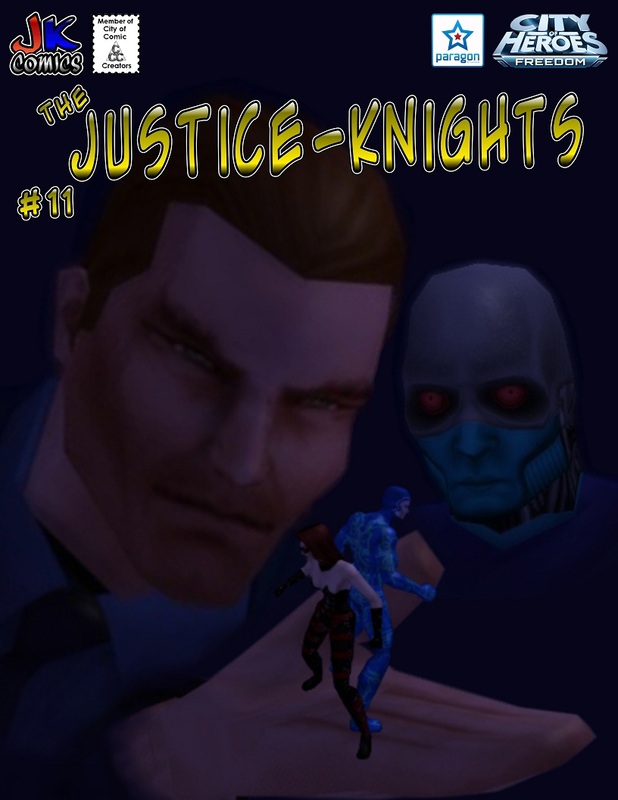 Battlerock Comic’s three heroes from another dimension have arrived on Primal Earth and are asked to help out the United Nations security team Vanguard on a secret mission that comes straight from the pages of JK Comics. Vote For a New Cover! 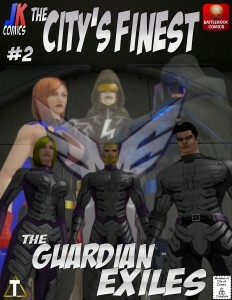 JK Comics has teamed up with Battlerock Comics on an issue of City’s Finest. All is about done, but we can’t decide on a cover, so we are asking on our reader’s opinion. Please head over to Battlerock Comics, via the link, and vote for your prefered cover for the upcoming City’s Finest #2, coming soon! 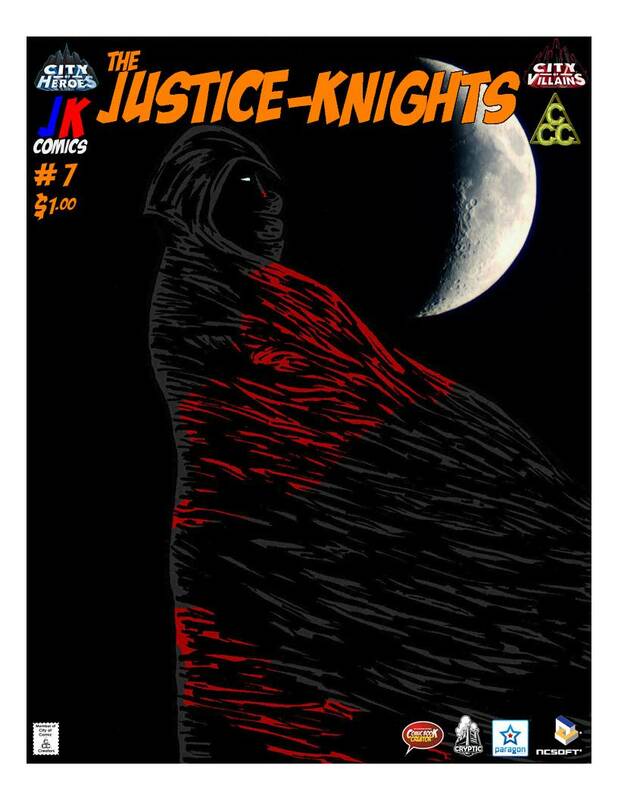 The Justice-Knights issue 12 is now live! Now accepting donations in bitcoin and litecoin! 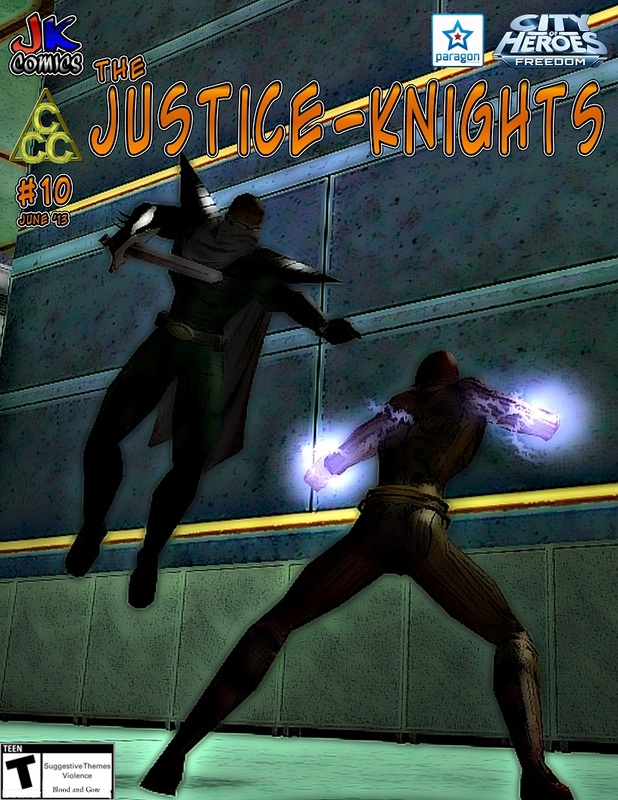 The Justice-Knights issue 11 is now live! Stalktress issue 3 is live! 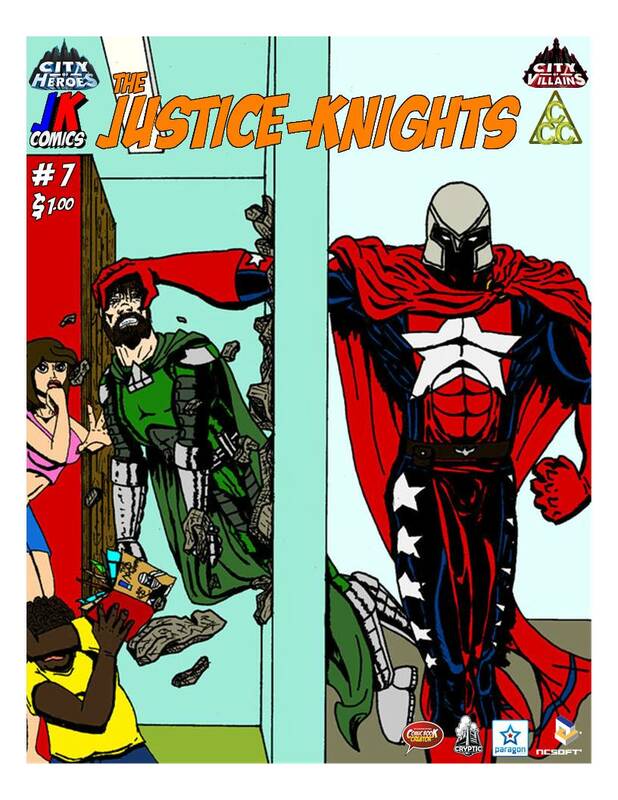 The fifth part of the first multi-issue story arch, Like Statesman’s Call several years earlier, Manticore’s Call goes out to the public; asking all citizens and heroes to rally against the evil Cyril Corporation and the Justice-Knights. The stakes continue to increase against the heroes of our story. Cnidarico is a comic created solely by Aaron Nellis. 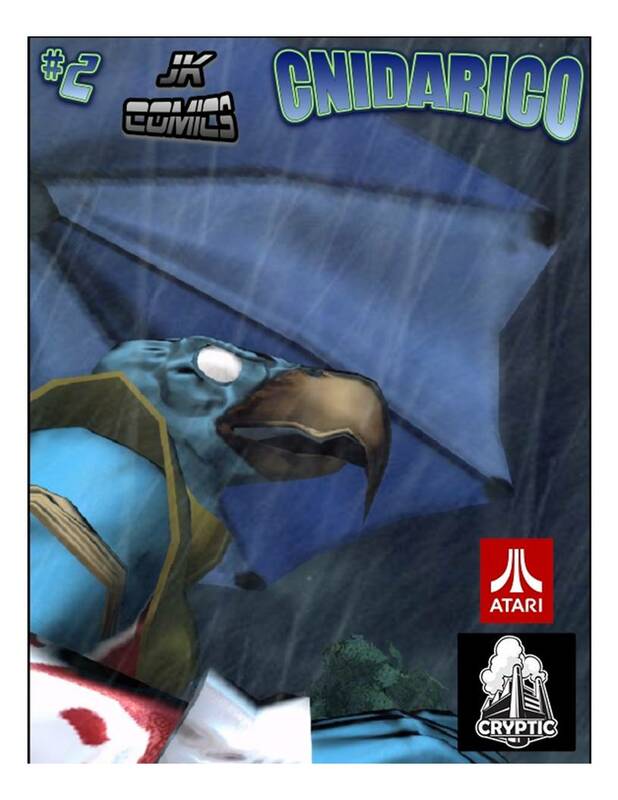 The second issue, A Rainy Day, follows a simple encounter Cnidarico has with a citizen of Millennium City that causes a chain of events to create one of Cnidarico’s, and the city’s greatest enemies. Cnidarico is a comic created solely by Aaron Nellis. 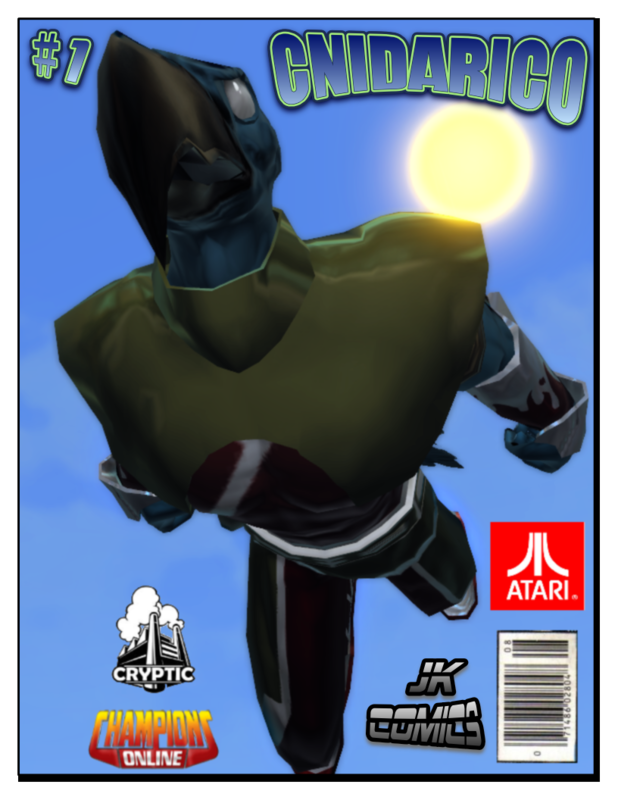 It stars the bird headed hero Cnidarico as he struggles with being a hero in a world full of humans. The first issue, Migration, follows the Avian hero as he just begins to feel comfortable among humans. His simple day is interrupted by an enemy from his past. The fourth part of the first multi issue story arch continues as our heroes struggle to survive and find help. Find out the connection between CyCorp and the strange actions of Manticore! Know if this truly is Manticore or a fake! The end is nigh! progression of Sin Stalker’s newest sidekick, Stalktress. Haunted by a horror filled past, will she become the hero Sin Stalker thinks she can become or will she descend into her own private hell of vengeance and despair? 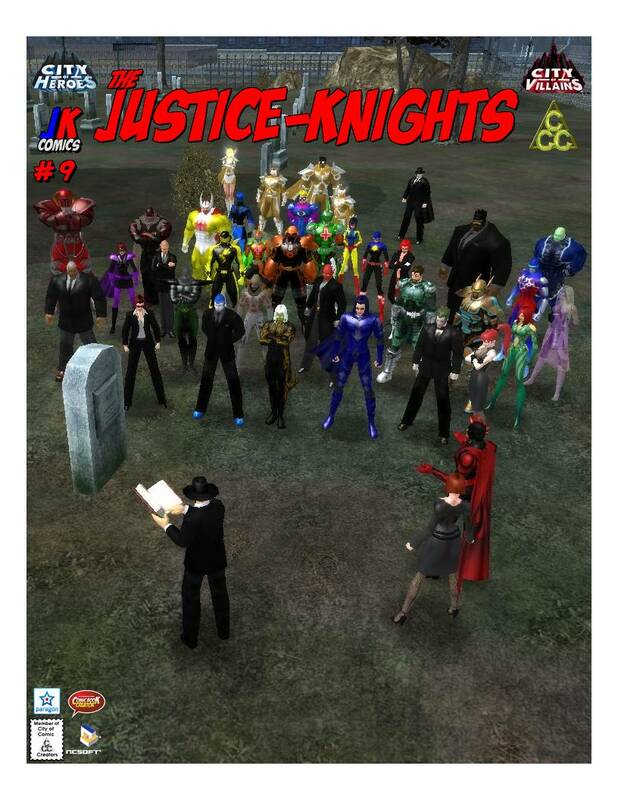 The first two issues are now live. The third part of the first multi issue story arch continues as our heroes struggle to survive and find help. 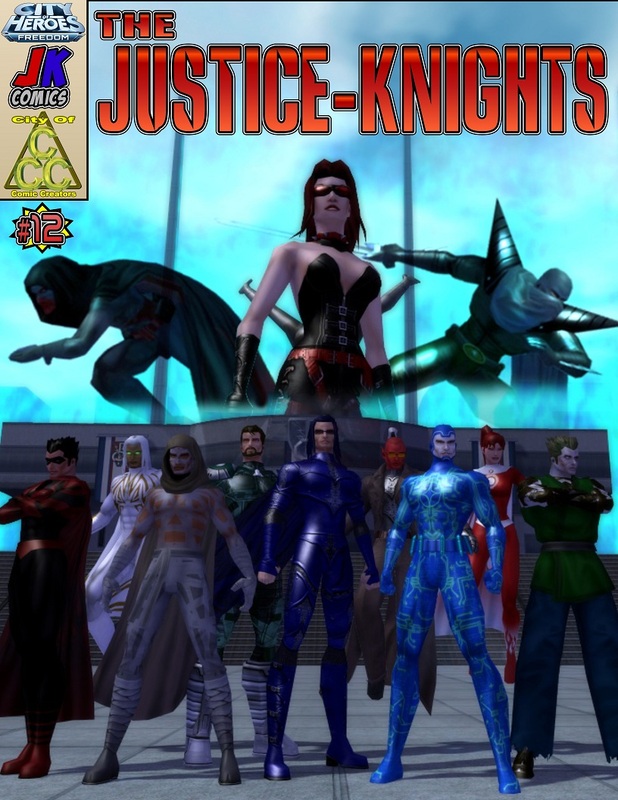 Will they find the assistance they need or is a city filled with heroes that are turning against them going to be their final downfall?